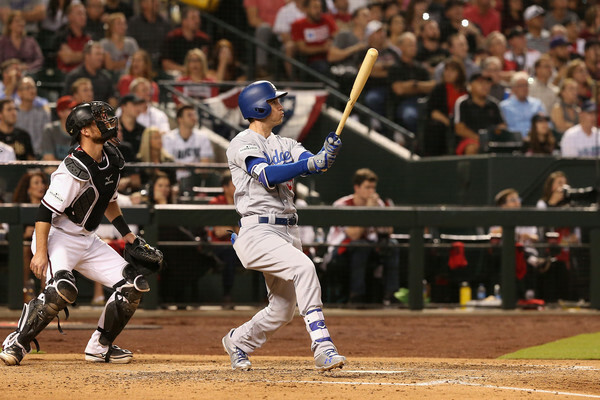 Game three in Arizona was the Cody Bellinger show. Bellinger had a show partner in Yu Darvish, but the night belonged to him. He drove in the first run of the night in the first inning with a ground out. He went leaping into dugouts to make catches. And he provided the death blow after a razor-sharp Yu Darvish provided the Dodgers with the start they had been waiting for from him. This felt like an easy series for the Dodgers, as much as it surprised me. The Dodgers worked Zach Greinke hard early and got into the Arizona bullpen. The Dodgers look like the team they were for much of the season, and they’ll learn their opponent soon in the NLCS after the Nationals and Cubs wrap things up in Washington.